Repeat offenders, Dan and Emad tried to get out for the last few weekends, but time restraints or bad weather kept delaying their trip…Good thing it happened, because the duo had and amazing bite of Blackfish and Sea Bass…It was basically lock and load for hour after hour, limiting out with Blackfish to 6 lbs. and 9 quality Sea Bass among dozens of releases of both species… Way to go Guys !!! 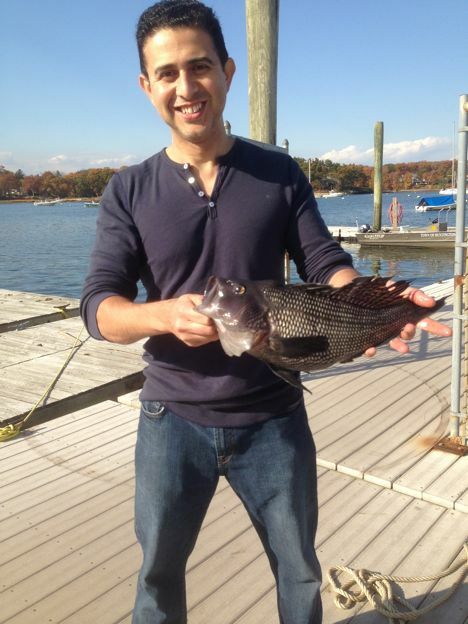 You both have it dialed in…Enjoy the many meals to come ! 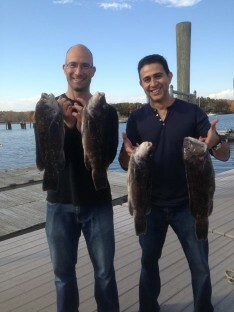 Dan and Emad with part of their catch !! !